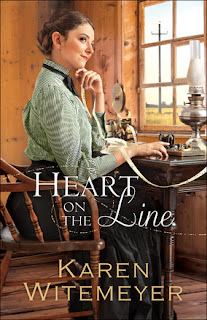 Heart on the Line is exactly what you expect from a Karen Witemeyer book -- a delightful story with fun characters and lively adventure. A female telegraph operator in a town populated mostly by women and her bicycle-riding male counterpart in a nearby town ensure an entertaining read. The story includes danger and romance, with plenty of quirky characters to keep things lively. This is the second book in the Ladies of Harper's Station. It works well as a stand-alone, but I look forward to reading the first book to answer questions about some of the characters and their stories. I highly recommend Heart on the Line for anyone interested in a fun historical story. Thanks to Bethany House for providing a copy of the book. I am happy to share my own thoughts for this review. Colleen Coble's Beneath Copper Falls is an intriguing story of murder and mystery that stretches from Washington state to Michigan's Upper Peninsula. The story is filled with interesting characters, including several who are involved in and work with search and rescue dogs. A variety of characters pop up as potential murder suspects before the story starts to turn toward the real criminal. As a word of caution to potential readers, there are a lot of dark moments as the mystery plays out. 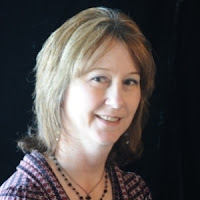 Colleen has written several other books in the Rock Harbor series. If you have read those, you will already be familiar with many of the characters and their stories. I had not read any of the others and found no problem with this as a stand-alone. 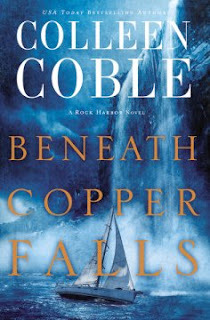 Best-selling romantic suspense author Colleen Coble’s novels have won or finaled in awards ranging from the Best Books of Indiana, the ACFW Carol Award, the Romance Writers of America RITA, the Holt Medallion, the Daphne du Maurier, National Readers’ Choice, and the Booksellers Best. 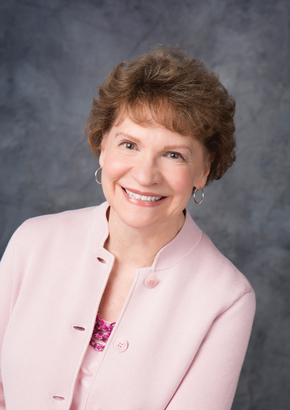 She has nearly 4 million books in print and writes romantic mysteries because she loves to see justice prevail. Colleen is CEO of American Christian Fiction Writers. She lives with her husband Dave in Indiana. Visit her website at www.colleencoble.com. Kathleen Fuller's The Promise of a Letter, like her previous Amish Letters story, has an interesting set of characters who don't all fit your stereotypical idea of Amish people. Those characters keep the story interesting and provide for a variety of twists and turns in this great story. Leanna was introduced in the previous story and plays a major role in this one. She is anything but a typical Amish woman; that fact likely contributes to some of the problems she finds herself dealing with, although much of the difficulty is due to no fault of her own. 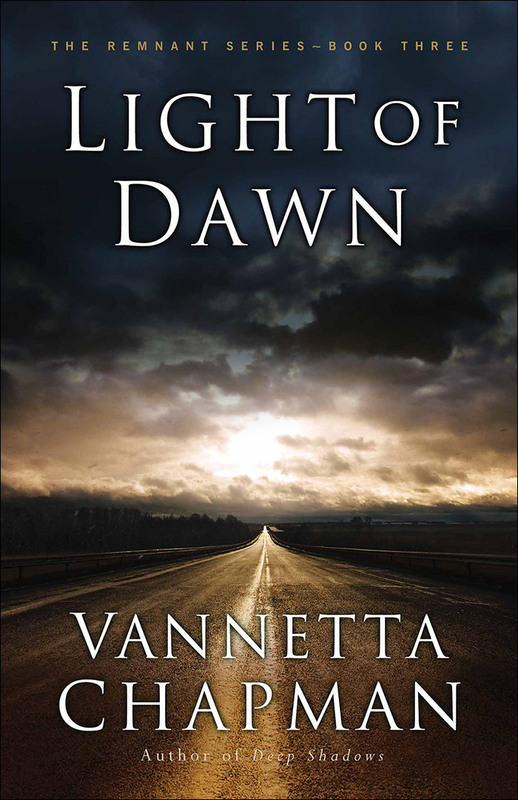 Her life becomes more complicated when she finds herself, somewhat reluctantly, involved with Roman, who is trying to determine whether or not he really fits into the Amish world. 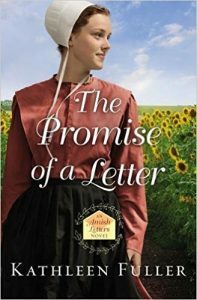 The Promise of a Letter, as expected by readers of Kathleen Fuller's books, is a well-written, enjoyable Amish story. Although there are several characters revisited from the first book in the series, it can work as a stand-alone. I would recommend, however, that fans of great Amish fiction would enjoy both stories. Thanks to the author for providing a copy of this book. I am happy to share my own thoughts for this review. There are lots of Amish authors these days, and there are several whose books I look forward to reading. One of those is the one who started it all for me -- Beverly Lewis. And her latest story is another I really enjoyed -- The Proving. Although there were elements that were pretty predictable from the beginning, there were plenty of interesting characters and details to keep the story very engaging. The pace of the story was very enjoyable as the different plots lines worked their way out. I would highly recommend this book to fans of great Amish fiction. 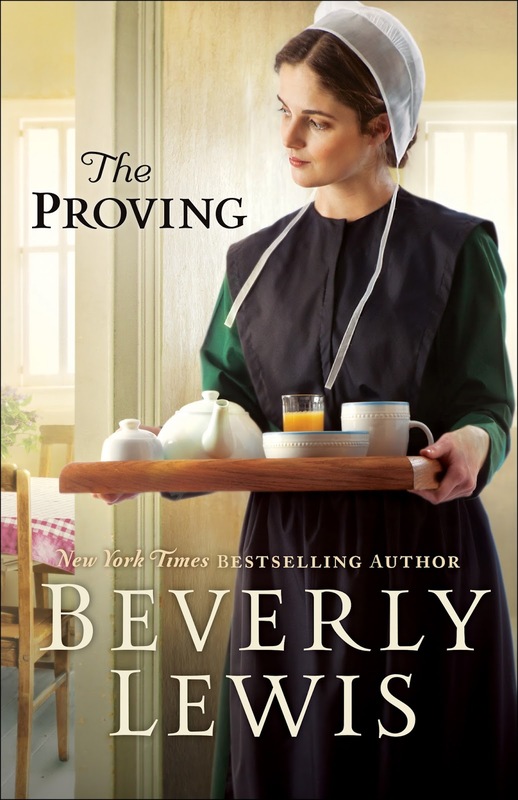 Thanks to Bethany House Publishers for providing a copy of The Proving. I am happy to provide my own thoughts for this review. "Mandy, you are to inherit the farmhouse, including the business of the inn." She could scarcely find her voice to respond. "Ach, this must be a mistake," she told him, shaking her head as she talked into the phone, feeling befuddled. "The house . . . and everything related to the inn . . . shouldn't that go to Arie Mae?" After five years as an Englisher, Amanda Dienner is shocked to learn her mother has passed away and left her Lancaster County's most popular Amish bed-and-breakfast. What's more, the inn will only truly be hers if Mandy can successfully run it for twelve months. Reluctantly, Mandy accepts the challenge, no matter that it means facing the family she left behind--or that the inn's clientele expect an Amish hostess! Can Mandy fulfill the terms of her inheritance? Or will this prove a dreadful mistake? Beverly Lewis (www.beverlylewis.com), born in the heart of Pennsylvania Dutch country, has more than 17 million books in print. 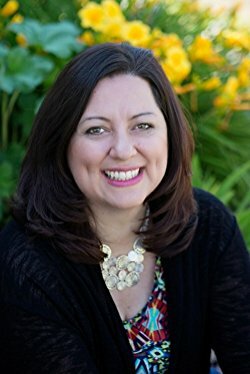 Her stories have been published in twelve languages and have regularly appeared on numerous bestseller lists, including the New York Times and USA Today. Beverly and her husband, David, live in Colorado, where they enjoy hiking, biking, making music, and spending time with their family. 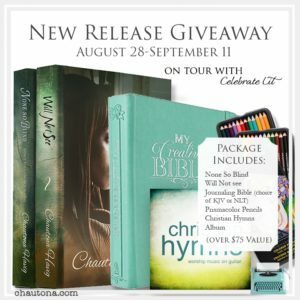 Vannetta Chapman shared the above thought on her publisher's page. My response to her hope is: mission accomplished! This conclusion to the Remnant series is an awesome one. After reading the first two books -- and yes, you have to read all three books in order -- I wondered how the series could possibly end in any kind of realistic way but somehow move beyond the chaos and loss that the characters had experienced from the beginning of the disaster. Hope was an important thread throughout all three books, and it somehow had to shine through to the end. It did, and brilliantly! I have to say that it was scary to think how the scenarios in this series were sometimes so close to possibly appearing in today's headlines. The reminders of God's presence and the strength that comes from it, though, are more real and timeless even in this work of fiction. 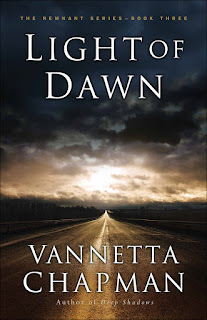 I believe Light of Dawn -- as well as Deep Shadows and Raging Storm -- should appeal to a wide audience, and I would highly recommend these five-star reads! Most any advice on Christian living includes instruction to be "in the Word," to spend time reading the Bible. How else can we know what God expects? I am convinced Tricia Goyer would totally agree with that advice . . . but I am also convinced that she would say something like, "But you can't stop there." 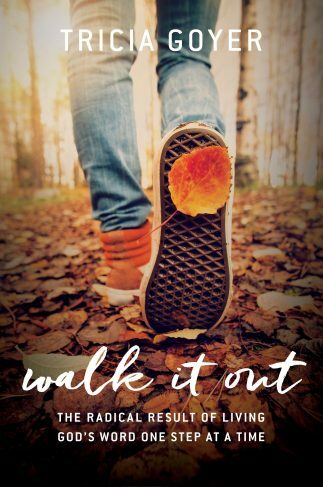 In her new book, Walk It Out, Tricia shares her heart in hopes of helping her readers find their paths to authentic walks with God. She shows the way by sharing her own story -- a story that includes ups and downs but that definitely shows the results of hearing what God says and DOING it! She doesn't tell me what my story should be; she encourages me to find what God says to me and to DO that. And she reminds me that I don't have to know the whole plan at once; one step at a time is all that is required. I've read this book once and been encouraged (maybe even convicted???) to do a better job of walking out God's plans for me. Somehow, I don't think I'm finished; I believe I will come back to these words again and again for help in staying on track to Walk It Out to the fullest! I highly recommend the book to anyone interested in living out God's plans. I received a digital copy of Walk It Out as part of the author's launch team. I was delighted to share my own thoughts in this review. Tricia Goyer is a prolific author of more than sixty books. 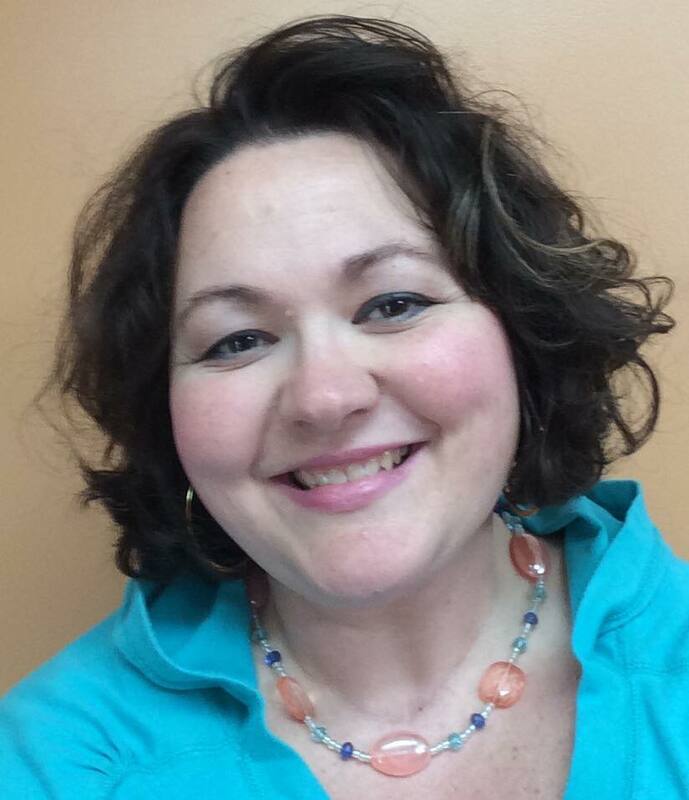 She is a homeschooling mom of ten, grandmother of four, and wife to John. 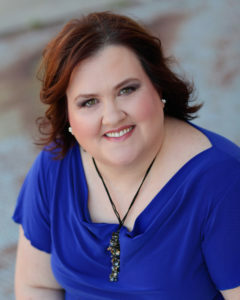 She is the founder of Hope Pregnancy Center in Kalispell, Montana and now leads a teen mom support group in Little Rock, Arkansas. Visit her website at: TriciaGoyer.com. 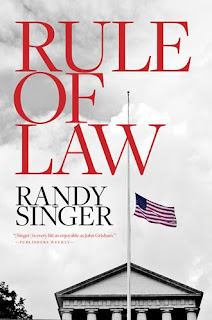 After reading -- and really enjoying -- a few of Randy Singer's legal suspense/thrillers, I was excited to see that he had a new book out. I have to admit that a couple of things made me think a little while before deciding to go ahead with this one: (1) it appeared to be (and in fact, is) pretty political and (2) it is longer than most books I read (456 pages). I am definitely glad that I went ahead and gave it a try -- it was a really good read. This story is indeed heavy in the legal and political aspects. It's almost scary how close it could come to being something from today's headlines. There were a few times that I did get a little bogged down and had to fight to keep going through the details. But what really kept me going in those tougher-to-read times was what I would call gentle threads of relationship and of faith. Those especially showed up in the life of Paige, one of the main characters of the story. 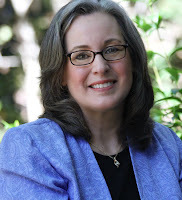 Her continuing love for Patrick, her finding her unexpected place in the SEAL family, and her steadily growing faith ran through the story even as she was involved in fighting the biggest legal and political battle of her career. 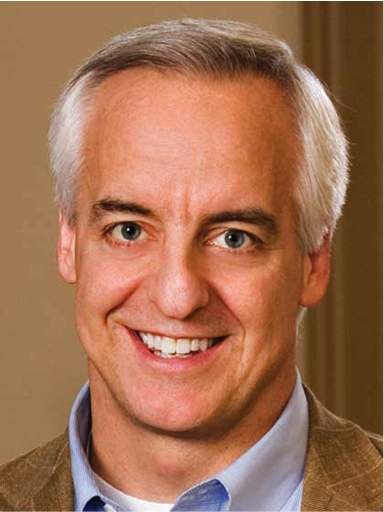 Randy Singer showed his great skill as an author by putting all those pieces together into a well-crafted story that should fit the tastes of a wide range of readers. If you are looking for a light read, this may not be for you. 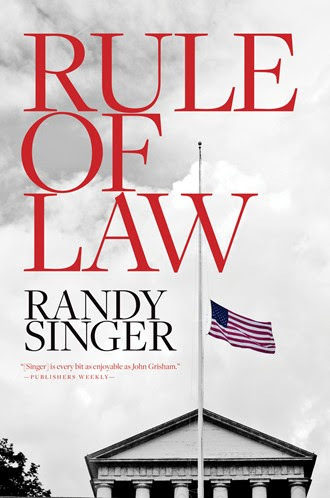 But for just about anyone else, I would highly recommend Rule of Law. Thanks to Litfuse Publicity Group for providing a copy of this book. I was happy to share my own thoughts in this review. See what other readers have to say about Rule of Law here. Cindy Woodsmall concludes her Amish of Summer Grove series in great form in Gathering the Threads. This series is based around Amish and English families -- and some who are on the cusp -- dealing with the consequences of a simple, but life-changing, mistake from years earlier. If I were to give a subtitle to this final installment it would be either "Be True to Yourself" or "Finding Your True Self." Cindy crafts a great story around that theme as Ariana struggles to find her place in the world -- a world that she has now experienced from two very different perspectives. I found myself trying to guess which way she would go and not really sure which to root for; there appeared to be no perfect answer. The best answer was there, though -- she was indeed true to herself. 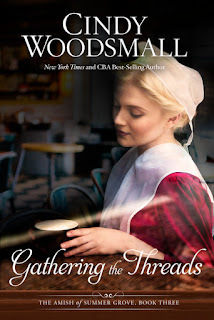 I highly recommend Gathering the Threads to fans of great Amish fiction. It would really be best to read the first two books in the series for a good understanding of this story. Thanks to Cindy and her publisher for providing a copy of this book. I was happy to share my own thoughts for this review. 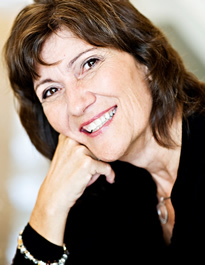 Cindy Woodsmall is a New York Times and CBA bestselling author of numerous works of fiction and one of nonfiction. Her connection with the Amish community has been featured widely in national media. She lives in the foothills of the North Georgia Mountains with her family. 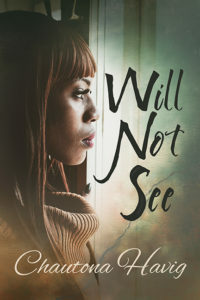 At the time I decided to read and review Chautona Havig's Will Not See, I didn't catch that it was the second book in a series. Thankfully, she worked in enough of the story from the first book, None So Blind, to make sense of what was going on . . . but also sparked an interest in wanting to go back and pick up that story as well. Chautona has an interesting style to her stories, something that I can't really identify, but that makes her writing stand out in kind of a "quirky" way. She enables you to jump right into the middle of her characters' lives, as though you had already met them, and then fills you in on necessary details of their background. Vikki's story, and the continuation of Ella's story, are definitely intriguing and keep the interest level high. The other characters in their lives certainly added important elements to their stories as well. I have to admit that I had some trouble keeping up with some of the "bad guys" and "potential bad guys" -- who was "in charge," how they fit together, etc. And there were occasional elements that seemed a little choppy and not fitting into a smooth flow of the story. Of course, the overall story of Vikki's life was definitely not one that fit any kind of smooth flow anyway! Overall this was an enjoyable story that held my interest pretty well. And then there is that tricky ending to the story that practically compels you to go into a waiting pattern for the next book. How in the world will all this work out in the end? Thanks to Celebrate Lit for providing a copy of this book. 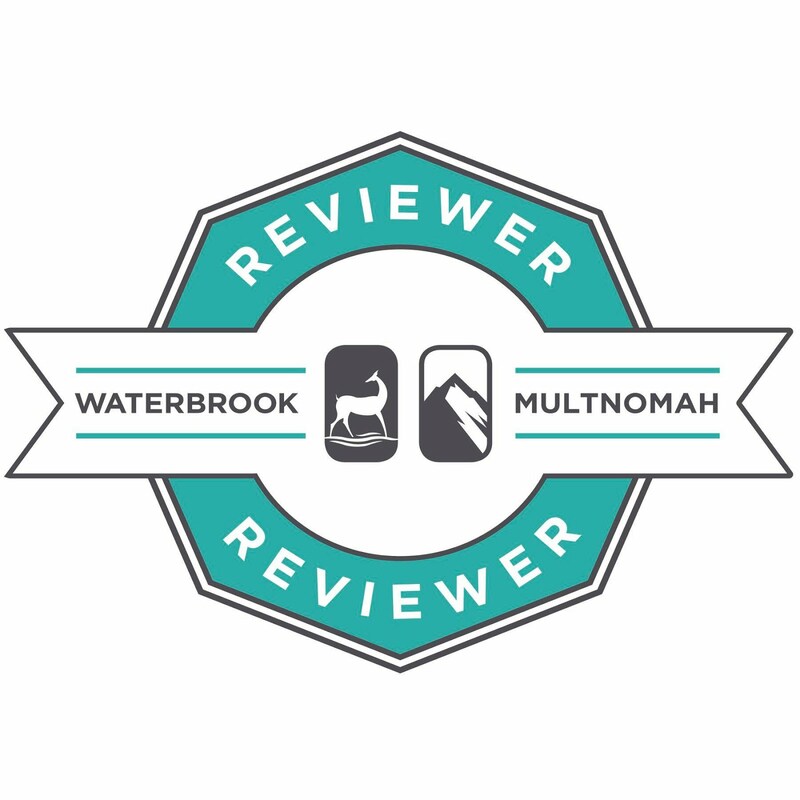 I am happy to share my own thoughts for this review. Will Not See: Not everything is as it seems. The circle of death swirls on the screen and it shifts. The bank balance appears, and with it, my heart sinks. It’s been a tough few months, financially. The bottom line proves it. My husband, on the other hand, suffers a definite blow. Kevin might not sleep that night. Instead, he’ll mull over what we could have done differently, how we can make changes, if he’s a failure at this thing called life. He’ll pray—for hours. They say ignorance is bliss. And sometimes, that’s true. It’s also a personality thing, I think. I tend to be a “let me have your worst” kind of gal. But when the negative arrives, I also tend to want to shield Kevin from it all. I don’t know how he can worry so much. He can’t fathom how I can turn it off. What does this have to do with not seeing? As I work on the Sight Unseen series, one recurring theme happens, of course. Memory loss—the removal of all insight into one’s past. You can hear who you were, be informed of what you did and why others think you did it, but you can’t know your own self the way you once did. It’s a fresh slate, and it can be a good thing in some respects. Those around you can now see the difference between habits and personality traits—true dislikes and those conditioned by life. What might have been a fear once could be gone if the cause of that fear is blotted out. But even for these fictional characters, truth doesn’t change. In None So Blind, Ella takes her memory loss and uses it as an opportunity to reinvent herself, if you will. And you know what? If you asked her family about it, they’d tell you that it fits her personality. That take-charge, gotta get ’er done attitude Dani may have used in different ways, but both “manifestations” of the woman had those qualities. Sure, Ella’s was tempered by recent experience, but not much. Vikki Jeffries, is almost the antithesis of Ella in that respect. The past is in the past. It scares her. Is it because she doesn’t know it? Because she’s frightened by the unknown? We don’t know. But what we do know is anything associated with that past, even the few very personal items she finds, she rejects. It’s as if ignorance of them will protect her from them. Where Ella runs to face her problems, Vikki runs from them. But despite those differences, I find it interesting that both women did the same thing, basically—just at different times. Vikki—we don’t know. But I think the story shows that she couldn’t blind herself to truth before her episode. As much as she might have ached to, she just couldn’t. Now that the opportunity is here, however, she grasps it and if she insists on squeezing her eyes shut indefinitely, it may cost her everything—her life. Her soul. They say ignorance is bliss. Well, “they” also say, “Truth hurts.” And sometimes it does. But so do the consequences of that ignorance. I guess the next time the bank balance dips low, I won’t be handling the fallout alone. Then again, one can always pray that it doesn’t dip low! I think we’ll start there.